As the evidence and support for legal access to cannabis for medical use grows, so the Home Office adjusts and reframes its arguments in denial. This should come as no surprise. The ‘hostile environment’ revealed by the Windrush scandal runs through the Home Office like a stick of rock. The culture of this department is defined by Theresa May and it reflects her character and personality. It is secretive, demands total control and micro management of everything it touches and whenever it is challenged it finds another excuse to maintain its iron rule. It is institutionally dishonest. The truth is rather different. 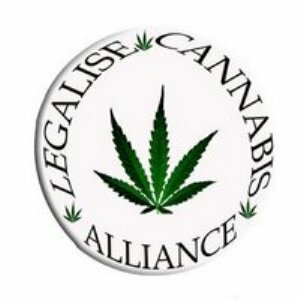 In every jurisdiction throughout the world where medicinal cannabis has been legally regulated, it is through a special system outside pharmaceutical medicines regulation. You cannot regulate a 500 molecule plant-based medicine in the same way as a single molecule synthesised in a lab. Regulation by the MHRA is the final excuse, the last obstacle to a revolution in healthcare in the UK. We need an ‘Office of Medicinal Cannabis’ as there is in the Netherlands, or ‘Access to Cannabis for Medical Purposes Regulations’ as administered by Health Canada. Colorado has its ‘Medical Marijuana Registry Program’ and other US states have similar arrangements. Israel’s Ministry of Health has its ‘Medical Cannabis Unit’. In Australia, its equivalent of the MHRA, the Therapeutic Goods Administration, has established its own set of medical cannabis regulations. Every other government that has recognised the enormous benefit that medicinal cannabis offers has come to the same conclusion: cannabis is a special case. It is far more complex but much, much safer than pharmaceutical products. So next time you hear this, the last, lame excuse from a government ideologically opposed to this long overdue reform, treat it and them with the contempt they deserve. They prefer that people should continue in pain, suffering and disability than that they should do what science and medicine says is right. Who Is Secretly Working To Keep Pot Illegal – Big Pharma? a science writer who lives in New Mexico. In 2009, the global pharmaceutical market was worth $837 billion—and it’s on track to top $1 trillion by 2014. This is a lot of money to spread around, so when it comes to lobbying efforts, very few have this group’s clout. Mostly, Big Pharma gets what Big Pharma wants. And one thing it wants is for marijuana to remain illegal. It’s not hard to figure out why. You can’t patent a plant—and that’s a big problem for pharmaceutical companies when it comes to medical marijuana. Imagine a wonder drug able to provide much-needed relief from dozens and dozens of conditions. Imagine it’s cheap, easy to grow, easy to dispense, easy to ingest and, over millennia of “product testing,” has produced no fatalities and few side effects—except for the fact that it “reportedly” makes you feel really, really good. That would be quite a drug. Knowing all this, it’s easy to see why the pharmaceutical industry worries about competition from marijuana. And besides its palliative prowess, researchers consistently find that patients prefer smoking marijuana to taking prescription drugs. In another study run by Reiman, 66 percent of her patients used cannabis as a substitute for prescription drugs; 68 percent used it instead of prescription drugs to treat a chronic condition and 85 percent reported that cannabis had fewer side effects than other medicines. 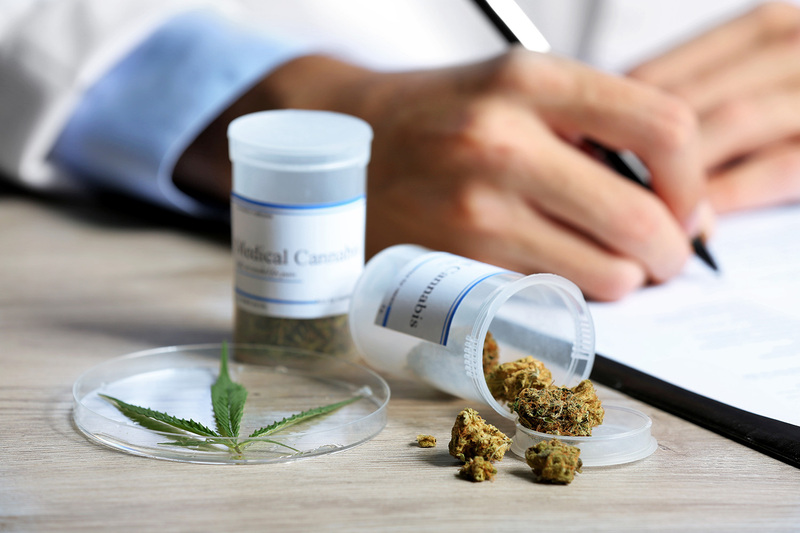 Since then, the pharmaceutical industry has shifted its focus to developing alternatives to medical cannabis, often taking the traditional reductionist approach. Specifically, these days, if a pharmaceutical company wants to turn a plant into a medicine they isolate the most active ingredient and make what’s known as a “single-compound drug.” Morphine, for example, is really just the chemical core of the poppy plant. This too has been tried with marijuana. Out of the 400 chemicals in marijuana, 80 of them belong to a class called “cannabinoids.” Out of those 80 cannabinoids, a number of pharmaceutical companies have tried reducing marijuana to only one: THC. But the results have been unsatisfactory. 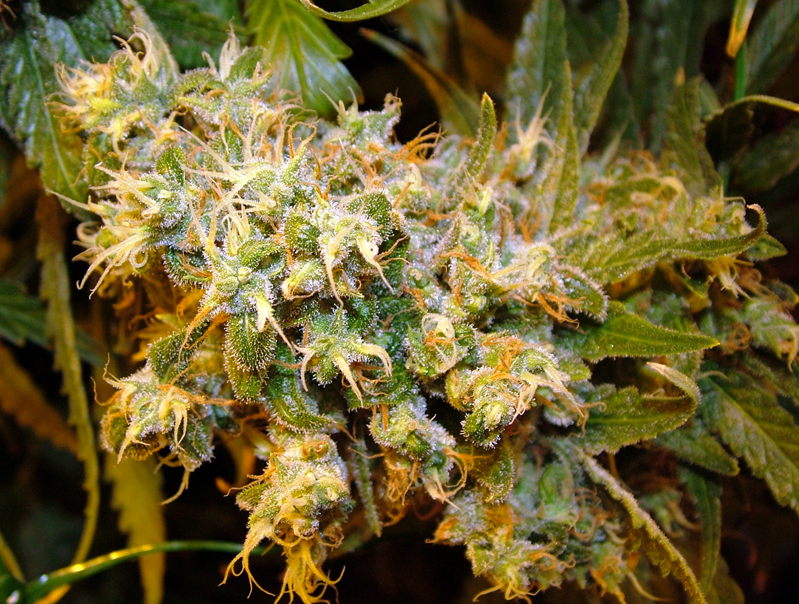 The news that Sativex, a whole plant extract of cannabis, was approved as a medicine in the UK was welcome, of course. But £125 for 10 ml, two teaspoons – please! According to Sativex’ prescribing information, each 1 ml contains 27mg of delta-9-tetrahydrocannabinol (THC), that’s the magical ingredient. So in each spray that’s £125 for 270mg of THC. At today’s extortionate street price of £10 per gram, good weed contains about 12% THC. So that’s £10 for 120mg of THC. At Big Pharma prices you get stoned for 46p/mg. On the street you get high for 8p/mg. Draw your own conclusions but please, do check my figures. Let me know if you disagree.